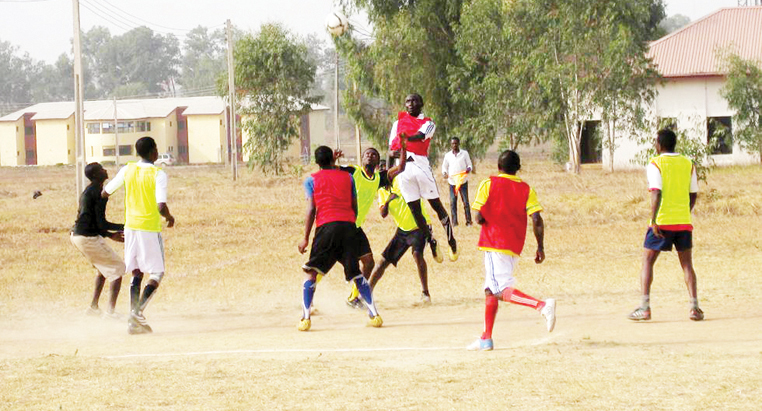 All is now set for the finals of the Rectors Cup sports tournament, organized by the NTA Television college, Jos. The exercise billed for today being Friday the 9th of February, 2018, at the TVC sports arena by 3:30pm will see the 400L class facing Diploma 2 in the football section. Same 400L class will be facing their 100L counterparts in the Volleyball section. The semifinals of the people badminton phase of the competitions are also expected to be played between 300L Tepjosa students and the Engineering students of the college. Winners of that round of the competition face the 200L Tepjosa students for the finals shortly after. Today's games which were decided yesterday saw 400l defeating 200l by 3:0, thus making it to the finals of the football competitions. Similarly, Diploma 2 defeated diploma 1 by 2:0 to make it to the finals. The finals of the competitions are expected to be witnessed by representatives of NTA, Rhythm FM, PRTV, Jay FM, KT FM, Highland FM and Plateau United. Other sport games to be played today include scramble, chess and table tennis.